Jen joined First Christian Church in January of 2014 as our assistant director of Children First, and became our director in July of 2014. Jen graduated from Hawkeye Community College with an Associate of Applied Science in Child Development in 2001. She is certified in first aid and CPR and has experience working in early childhood settings since receiving her degree. Jen and her husband Justin live in Pittsfield with their two sons, Jameson and Joel. Lisa joined us at Children First in October of 2014. She graduated from John Wood Community College in May of 2012 with an Associate of Applied Science Degree in early childhood education. 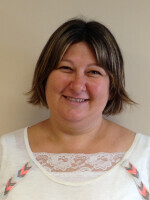 She is CPR certified and trained in first aid, and she has much experience working in early childhood settings. In the toddler classroom, Lisa provides a variety of activities that works on all areas of o developmental domains and meets the needs of the children. Together with her assistant, Josie, they can have up to 10 children in their care. Lisa lives outside of Pittsfield with her son Reece. She enjoys spending time with Reece, family, and friends. Josie joined us at Children First in November of 2016 as the assistant teacher in the toddler room, working under Lisa Walston. She helps plan and prepare activities in the classroom and works on developmental domains with the children throughout the day. 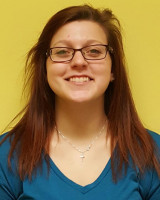 She loves working with children and plans on becoming a lead teacher at Children First in the future. Josie is currently attending John Wood Community College for her Associates Degree in Child Care and plans on graduating May 2018. Jennifer has been working with children for the last 21 years. She got her Child Care degree from Bellville Area College and Hannibal LaGrange University. She joined us at Children First in July 2016 as our infant teacher, and can have up to 4 infants in her classroom. She is always on the go in her classroom, meeting the needs of every child in care. 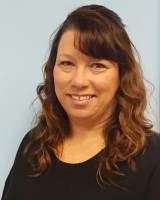 She works on developmentally appropriate milestones with the children and does a variety of activities to achieve those milestones. She is CPR certified trained in first aid. 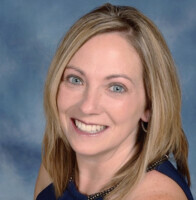 Jennifer resides in Pittsfield with her husband Brian, and three children: Mason, Brenlee and Ian. 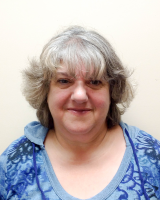 Dawn began subbing with us at Children First in July of 2015, and helps in every classroom. In the past 36 years, she has worked as a teacher, assistant manager and manager in both daycare and head start environments. Dawn is CPR certified and is trained in first aid. She enjoys reading and singing to the children and working on all developmental domains.